You’ve probably seen Human Weapon shirts in your dojo, at a recent tournament, or on your favorite MMA athlete. 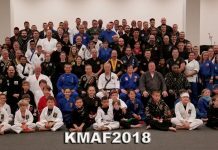 Human Weapon is new martial arts brand that isn’t shy about disrupting the Martial Arts and Mixed Martial Arts (MMA) industries. For their next act, they are bringing a new product to market on Kickstarter: Black Belt Bags. Like the Human Weapon brand itself, this innovative drawstring backpack has its origins in traditional martial arts. In the case of Black Belt Bags, that means contemporary functionality intersects with the time-honored look and feel of the gi worn by those who train and compete in so many of the martial arts such as Karate, Tae Kwon Do, Jiu Jitsu, and Judo. 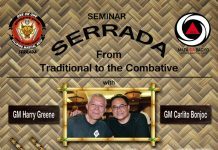 Founders Greg and Mike Lim’s storied family history in martial arts plays a defining role in Black Belt Bags. 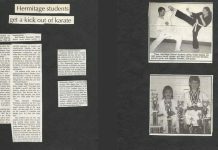 They grew up in their father’s dojo studying Tae Kwon Do and surrounded by world-renowned martial artists who often stayed at their home; icons of martials arts such as Professor Wally Jay, Fumio Demura, Bill “Superfoot” Wallace, Benny “The Jet” Urquidez to name a few. Willie Lim, their father and the heart of the brand, inspired Greg and Mike as a parent, role model and lifelong martial artist. 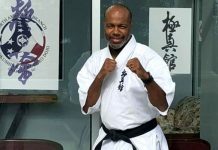 Over his martial arts journey, he pioneered Tae Kwon Do in New Zealand, taught in over 15 countries, has been honored as one of Australasia’s Martial Artists of the Century, and is currently a 9th Dan and a Tai Chi Chuan Master. 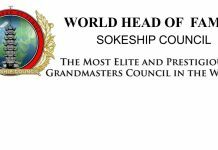 His explorations also led him to become one of the foremost experts of bunkai – the analysis and application of the hidden locks, holds, throws, and nerve strikes hidden in traditional kata. With such a storied history in martial arts as the inspiration, Black Belt Bags have a lot to live up to, and they do. 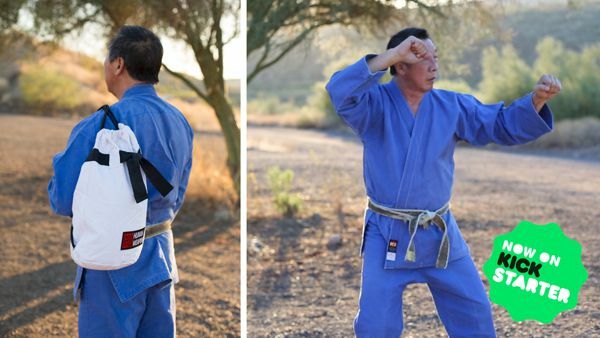 The Bags are clearly purpose-built and meet the carry-everywhere needs of today’s on-the-go martial artist, while paying homage to the gi and the martial arts mountaintop, the black belt. The unique, throwback look is inspiring—the water-resistant lining, interior and exterior zip-pockets, and over-the-shoulder drawstring truly perform—this is durable, all-purpose gear. 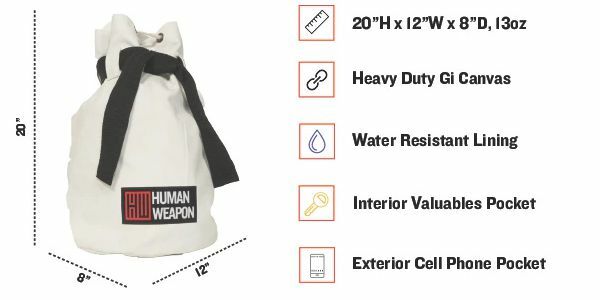 To pre-order the bags, meet the creators, and learn more about Human Weapon, visit the Black Belt Bags Kickstarter Project.